It takes a lot to get me in a car for a 4-hour road trip to a wedding on the Washington Coast! And I could not say no when invited by Adam and Tiffany to join them on June 20th for their intimate and sweet ceremony at Kalaloch Lodge, just South of Ruby Beach. For me, there is something endearing about an invitation to create a lifetime moment for two loving people who truly want to celebrate their relationship in the best ways. 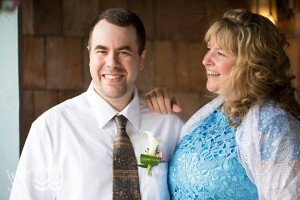 Add to this Tiffany’s two handsome sons, a thrilled bunch of family and friends and a sentimental connection to Kalaloch Lodge and you have a perfect recipe for a beautiful ceremony and celebration. And while the day before Adam and Tiffany’s wedding day was gorgeous, the “day of” was rainy and overcast. And we rolled with it. Instead of holding the ceremony in a gazebo overlooking the ocean, we moved furniture in a water view room and improvised to create an indoor ceremony space. Adam and Tiffany – thank you. I admire the fierce love you have for one another. I am inspired by how you have moved mountains to be together. Like there was any other option.